Sharp Industries LLC. 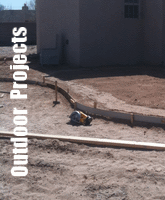 is a full service construction company servicing Albuquerque New Mexico and the surrounding communities. We build custom homes that fit our customers' needs. We also specialize in residential remodeling. More specifically, we focus on providing exactly what home owners want to enhance their quality of life at home. Our mission is to provide you with the best experience in home building delivering exceptional home designs, features, and value in a caring and professional manner. 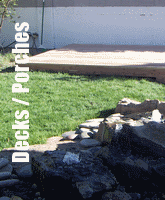 "Expert Advice on Patios, Decks and Porches." We specialize in remodels and new construction. We offer quality work and focus on customer satisfaction. We offer unmatched value and superior quality. About UsFind out a little more about us. Homeowners may be surprised at what can be done with their home’s current structure. Working with a professional provides you with a trained eye and creative mind for devising solutions that you might not have imagined. Renovations and new add-ons can entice the modern family of today and ensure your home is not overlooked on the market. In addition, moving may seem like a great option for homeowners who need a change of space. However, renovations are a great way to mimic the atmosphere of a brand new house without the hassle and cost of a move. Remodeling bathrooms and kitchens are among the most cost-effective projects that homeowners can do. Remodeling Magazine’s Cost vs. Value assessment indicates that bathroom remodels have a 65.2 percent return rate on an initial investment. Kitchen updates also yield a high return of 68.9 percent. Home remodeling projects are beneficial for current homeowners looking to enjoy a revamped space while adding value to a home. It is likely that the new, purposed-designed addition to your home will catch the eye of another family thus boosting its overall appeal. When investing in Home Additions, homeowners are rewarded with innovative and functional living areas for their family while gaining mass appeal to home shoppers. Check the value of your home . Sharp Industries has been in business since 1995. The company was started by Steve Ortiz, a fire fighter in Albuquerque NM. Each year the business has grown and now, retired from the fire department, he devotes his full attention to the building and remodeling projects. Sharp Industries servers Albuquerque, Santa Fe and the surrounding communities: Edgewood, Moriarty, Belen, Los Lunas, Rio Rancho, Bernalillo and other Central New Mexico locations. 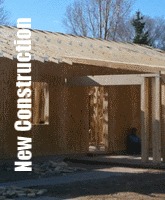 New Mexico General Contractor. Home Remodeling.